After being a fairly active kid during my youth (soccer, rugby, tennis, swimming, karate, and ping-pong), I found myself gaining too much weight during my early work years after I finished college. My weight was at the highest it ever been: 220 pounds. With a frame of 6’2”, it didn’t seem to be too bad I thought, but deep inside I knew I was out of shape and my weight was getting out of control. One fall day in 1998, as I started a new career and job in South Bend, IN, I found my old $40 BMX bike I used to ride in college. I heard there were some single track trails in town and that triggered my curiosity. I have been riding bikes since I was a small child. I used to ride on the road, bike paths and dirt roads. This curiosity and my struggles with the weight prompted me to go check out the trail. The entire trail (Rum Village trail) was 5.5 miles long, all single track, with a beginner loop and expert loop. The beginner loop was 2.5 miles long. It took some courage and with one pedal revolution, my mountain bike journey began. It took me 30 minutes to complete the 2.5 miles beginner loop. I thought the loop was never going to end. I was tired, out of shape, but at the same time exited and ready to come back and try it again. I kept going back to the same trail once or twice a week. My poor old BMX bike started failing from the rough miles. I finally decided to invest in a new entry level mountain bike. I kept riding the same trail and started venturing on the expert loop. I heard that there was a mountain bike organization and they held some local races at that trail. One of the bike shop owners in town suggested I sign up to one of the upcoming bike races in the spring of 1999. I was a little hesitant, but there was nothing to lose, so I signed up. After competing in the race (which was a time trial format), I was hooked on racing. I started training on my own and started checking more trails around the area. In my first big race, I finished 6th as a beginner (they medaled top 5). That motivated me to ride more and I purchased books about training. I set up my own training and tracked them on an Excel sheet. Even though I read the book, I was still clueless about training. I went from unstructured to a more structure periodization training. My results improved and my weight got better. I was motivated to train and to watch my diet a little closer. In 2004 (5 years into racing), I was able to finish first overall in the Sport category Michigan Mountain Bike Time Trial series. In 2005, I also started racing single speed. I was able to finish 2nd overall in the Time Trial series. I then moved to Expert category and I was able to finish 3rd overall in the geared Expert category Michigan Mountain Bike Time Trial series in 2006. I repeated the same overall placement in 2007 and 2008. In 2009, I raced single speed only and finished 5th overall in the Expert/Elite category. In 2010, I moved to the gear Pro/Elite category. After finishing 7th overall in the state of Michigan in 2010, in 2011 I was able to move up to 6th overall in Michigan. With the goal of finishing top 5 in the state, I hired a coach in September 2011 based on a friend’s suggestion who happened to be the state champion. I realized most of the top Pro/Elite riders were using a coach. My results drastically improved when I hired a coach. In 2012, my racing weight was 155 pounds. This was a far cry from the 220 pounds body I did my first mountain bike ride in on the fall of 1998. In 2013, I did my first 100-mile race and it was a success. 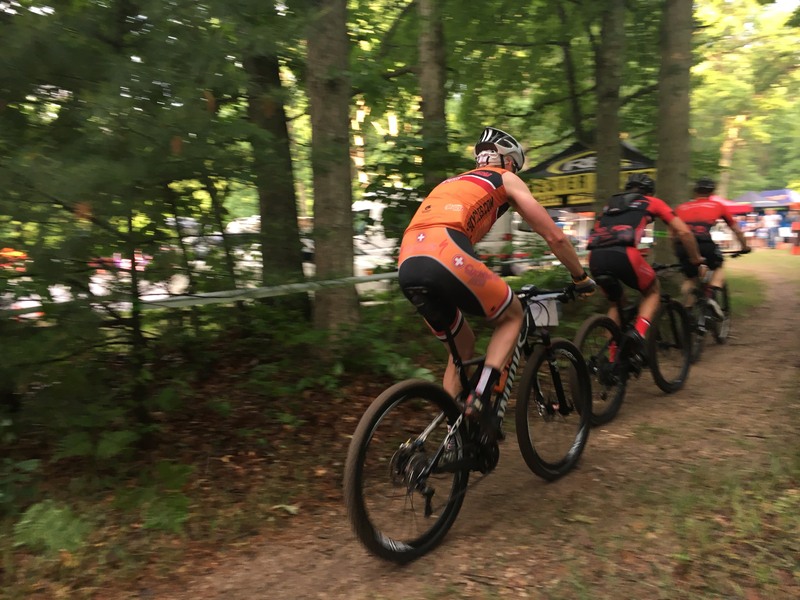 I was able to finish 16th in the Men’s Open category at Lumberjack 100. I discovered that my body was more suited for long distance endurance races than shorter races. In 2014, I focused my training on 100 miles races. In 2016, I was able to finish 14th in the nation in the Men’s Open National Ultra Endurance (NUE) series at 47 years of age. In 2017, with the pressures from work, I decided to take a break from racing and I no longer had a coach. My hiatus from racing was short lived. I needed the motivation of a race to stay fit and to keep my weight in check. In August 2017, I completed a 66 mile race in Alta WY (Pierre’s Hole). I subsequently did 3 additional shorter races. I was training as I did before I hired a coach in 2011, but I felt like I needed more direction in my training, but I was not willing to hire a coach. My love for racing was rekindled, especially as my job pressure and commute was reduced when we moved to Montana. 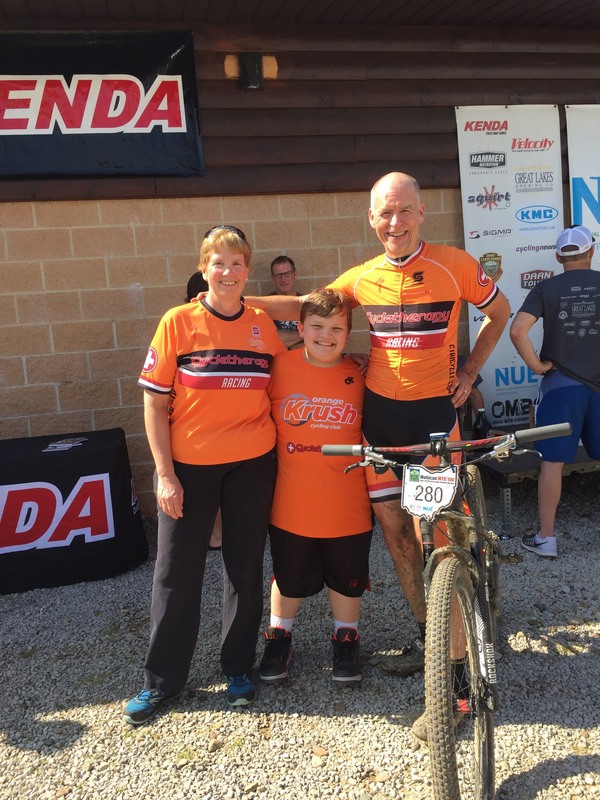 In 2018, I decided to compete in several mountain bike races. I completed three 100 miles races, one 100 km race, one 50 km race and my last race will be a XC point to point race from Kalkaska, MI to Traverse City, MI (Iceman Cometh Challenge) on November 3rd. The biggest change this year was that I started using VeloPro Dynamic Training Plans. This is the structure that I was missing in 2017. My results in 2018 using VeloPro were as good as or better than the results I obtained in 2016 with a coach with two top 10 finishes. The software is truly dynamic, since it allows me to compete in 3 different types of races. The software sets a training plan based on the maximum number of hours available in a week to ride, the target races that you enter set the plan. You can also incorporate days off by selecting the specific days you want to rest by selecting the days you want to ride. The training rides are tailored for the upcoming race type. The software is like having a coach, but at a significant lower cost. After 20 years of racing, the software keeps me motivated to get ready for the next race. Next year, I will finally compete in the NUE series Master Category (50+) making the age field more of an advantage, and once again I will definitely trust my training to VeloPro as I did in 2018. I wish I had access to this great training tool in 1999 when my racing journey began. Long live long rides and structured training!